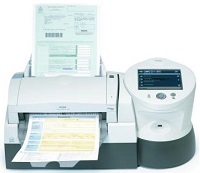 Kodak Scan Station 100 Plus Scanner Driver, Software and NSi Autostore Update for Operating Systems.Release V 3.0 provides various enhancements and security features and allows you to upgrade your Scan Station 100 to a Scan Station 100 Plus. -Ability to logout when finished. The SS100_NSi_update release provides an update to NSi Autostore application. Download and Save BOTH files: the SS100update.exe and the kss100.xml (inside zip) file to a blank flash drive. Insert this USB flash drive into the KODAK Scan Station 100, and follow all update prompts. Reboot the Scan station.